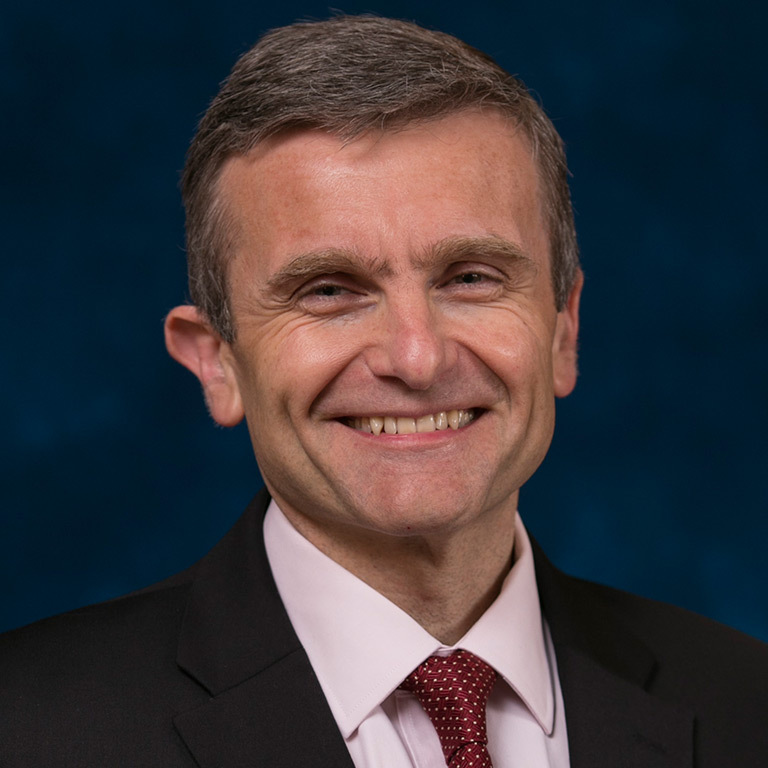 Amir Pasic is the Eugene R. Tempel Dean of the Indiana University Lilly Family School of Philanthropy, the world’s first school devoted to research and teaching about philanthropy. Prior to joining the school, Pasic was vice president of international operations at the Council for Advancement and Support of Education (CASE), a global professional association serving educational institutions and their advancement professionals. Previously, Pasic was associate dean for development and strategic planning at the Johns Hopkins University Paul H. Nitze School of Advanced International Studies (SAIS) as well as executive director of its Foreign Policy Institute, where he continues to serve as a fellow. Pasic served as deputy director of the world security project at the Rockefeller Brothers Fund and was deputy vice president for advancement at The George Washington University. A former librarian at the Library of Congress, he began his career with faculty appointments at Brown University's Watson Institute. “Book Review: Sovereignty: Organized Hypocrisy,” Ethics & International Affairs, Volume 14, March 2000, pp 163-165. Foundations in Security: An Overview of Foundation Visions, Programs and Grantees, Rockefeller Brothers Fund, New York, 1999. Culture, Identity and Security: An Overview. Rockefeller Brothers Fund, New York, 1998. (with Thomas G. Weiss) “The Politics of Rescue: Yugoslavia's Wars and the Humanitarian Impulse,” Ethics & International Affairs, Volume 11, December 4, 1997. Reprinted in Ethics & International Affairs, A Reader, Georgetown University Press, Second Edition, 1998. Joel H. Rosenthal, Editor. (with Thomas G. Weiss) “Dealing with the Displacement and Suffering Caused by Yugoslavia’s Wars: Conceptual and Operational Issues,” in Francis Deng and Roberta Cohen, eds., The Forsaken People, Brookings Institution Press, July 1998. “Global Visions: Governance and Identity,” Ethics & International Affairs, Volume 12, March 1998. (with Thomas G. Weiss) “Humanitarian Recognition in the Former Yugoslavia: The Limits of Non-State Politics,” Security Studies, December 1997. (with Thomas G. Weiss) “Reinventing UNHCR: Enterprising Humanitarians in the Former Yugoslavia, 1991–1995,” Global Governance, January 1997.